Infinity prototype 9: Remaking the classic roadster once again..
Infinity motors is one of the premium automotive brands. It recently revealed a retro electric car - the Infinity prototype 9 in collaboration with Nissan. The car has a retro look that dates back to 1940s. It also recollects the classic design of that time. The prototype 9 is both modern as well as old at the same time. Moreover, the design itself reflects the golden days of automotive history. 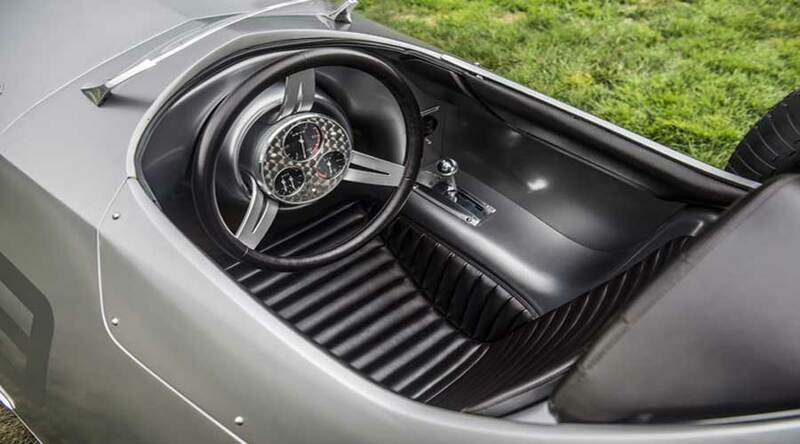 The car showcased at the Pebble Beach, California is a mix of traditional design with modern technology. Every detail is thoroughly designed with craftsmanship that was never seen before. In fact, Nissan contributed largely for electric motor and power-train. In addition, Nissan’s passionate designers also contributed in designing of this car. Most of the parts are hand crafted to bring that retro look everybody wanted in the era of robotic building of cars. The origins of Infinity motor company can be traced back to the Prince motor company. It is the retro car of the 60s, Prince R380, which inspired the design of the prototype 9. Prince R 380 broke several records during 1965. The prince motor company largely associates itself with Japanese grand-prix. It was one of the premium sports car maker at that time. Some of its design concepts still exist in the modern day infinity cars. 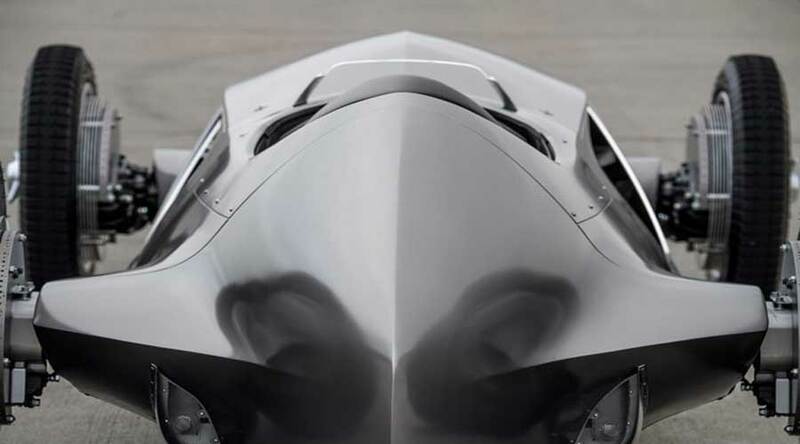 Prototype 9 is the mix of roadster and aircraft. The aerodynamic front and sleek lines at the side make this car so incredible. The car's design is a result of the collaboration of design teams from two different parts of the world. So, passion is the only quality that turns this concept into reality. 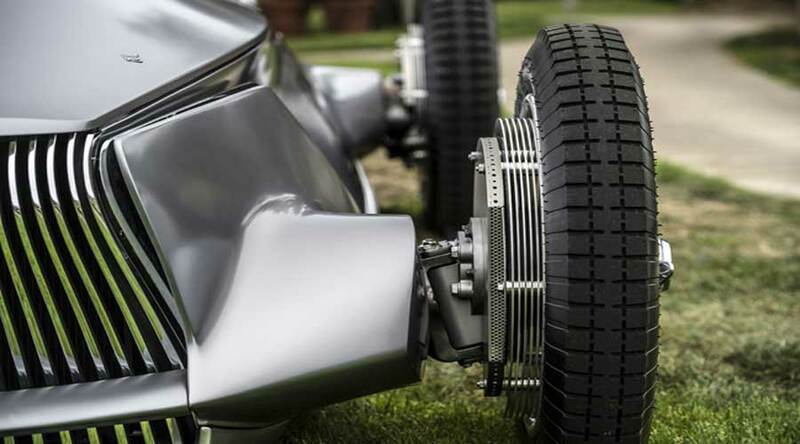 Furthermore, the stunning body work in prototype 9 comes from Japanese craftsmanship. The body panels are hammered into shape manually. This resulted in incorporating the Infiniti’s signature design elements in the prototype 9. A double arch grille, single-crease hood, shark gills art of the front wheels and sharp lines complement the design of prototype 9. The prototype 9 also gets its inspiration from retro aeronautical design. Long bonnet, short overhangs, aerodynamic surfaces and an exposed cockpit layout bring this car to life. With only focus on driving, the cockpit has minimum distractions. What is under the cockpit of Infinity prototype 9? The car has an electric motor as well as advanced newly designed power-train from Nissan. A 30kwh high voltage battery powers the prototype's electric motor. The electric motor produces staggering 120kW (148 HP) power with 320Nm torque. The car has a top speed of 170 kph. It can go from 0-100kph in 5.5 seconds. In conclusion, Infinity and Nissan is designing great cars by using current technology and yesteryear theme. 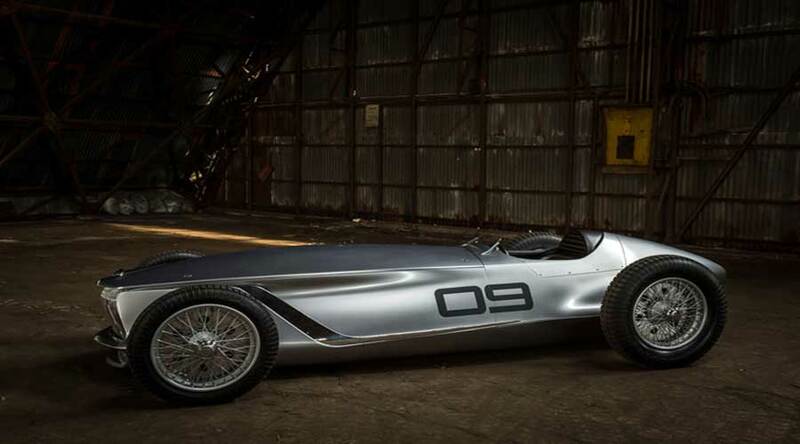 Home » Articles » Why Infinity prototype 9 classic roadster is not just another electric car?